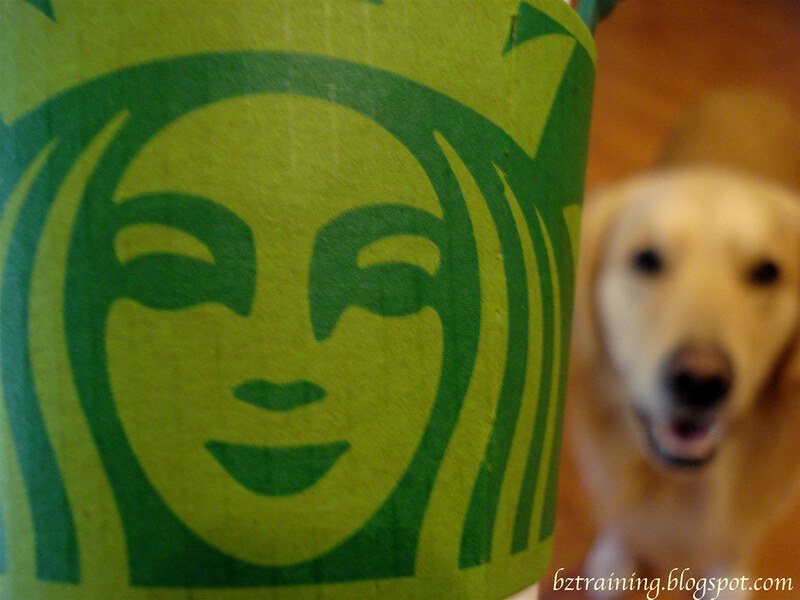 Dog Blog Post #316: I'm a huge fan of Starbucks, and an (all too) frequent customer, downing way too many Peppermint Hot Chocolates in the winter and Mocha Frappuccino once the weather warms up. Make a photograph dominated by the color green today. ... yup, an empty Starbucks cup, complete with green sleeve. Over to the computer - geez, I can do better than that! It's not perfectly crisp! It's not perfectly clear! Although I'll admit one had a rather nice smile on Zachary's face and lined up rather pleasingly with the image on the sleeve. You've got to be kidding. It's still not perfectly crisp, and now the dogs are all out of whack! There. Done. It's got to be good. I'm not doing this again!!! And so it was, after spending 30 minutes on this little exercise, the picture that I ultimately uploaded was picture #5 of 22, ever strengthening my theory that the amount of time I spend on the Daily Shoot is not only directly proportional to the amount of time I have available, but inversely proportional to the quality of shot I ultimately end up selecting. Really? A Starbuck's sleeve? I had all day to get something! Scattered throughout are several other efforts at green, that struck me as being a bit too pet photo-ish. Not that there's anything wrong with that. 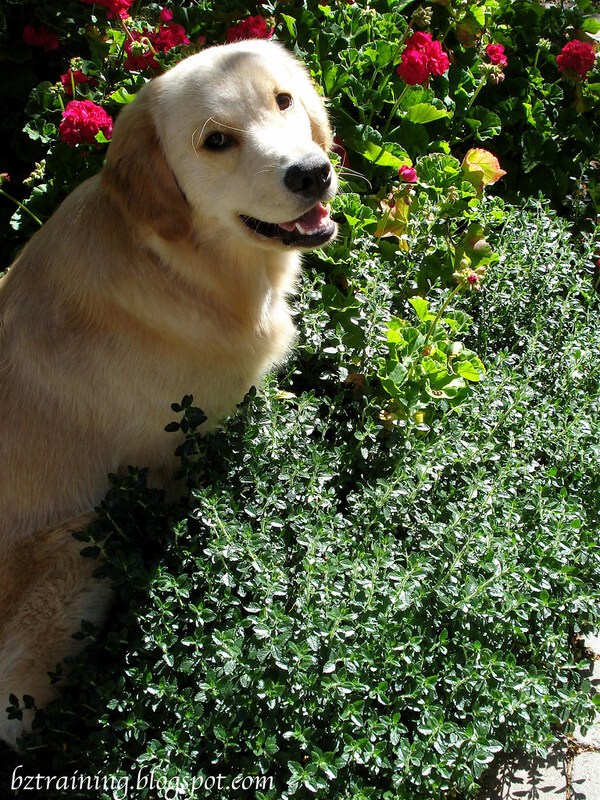 I have an ever-filling hard drive full of pet photos, and I love them all. But I don't do the Daily Shoot because I need more "pet photos" - if that makes any sense. Missing Skill of the Day? Henry is still a camera hog, bodying Zachary out of the way in order to get in front of the lens. While I appreciate his enthusiasm (a) there are times when Zachary is a better choice of model, as his skill set is, shall we say, a bit more refined -and- (b) Zachary likes cookies too. 1) It has wings! - From airplanes to zebra finches, if it flies, it qualifies. 2) Dust bunnies - time to come clean and admit where they're hiding. 3) Button, button, who's got the button? Unusual buttons only, please. 4) Antiquities - something older than you are, you old goat! 5) Rusty bits - we all love them. Find one and photograph it artfully. 6) Let's play games! Break out a gameboard and its pieces for a winning shot. 7) On the fence - what's hanging or growing on a fence near you? 8) Dimpled surface - rain on the water, bubblewrap, at the corner of a smile. 9) Create a mood in a photo with a book as your main subject. Lighting is important. 10) Roadside oddities - quirky mailboxes, World's Largest Ball of String, you name it. 11) Pair 'em up - salt and pepper, cheese and chalk, mix or match. 12) Bristles - animal, vegetable or mineral...or even plastic. 13) Branch out with a twig, sprig or limb. Bonus points for blossoms. 14) Whatcha eatin'? Snacks! Snacks! Snacks! 15) Why am I keeping this? Worn-out but still functional items apply here. 16) Hand-made - by you or another Artiste Extraordinaire. 17) Toppers - headwear can be functional, fashionable or silly. 18) Memorabilia - use some of your mementos to create a nostalgic greeting-card photo. 19) Rocks and minerals - what unusual geologic treasure can you find? 20) Find a sign with a misspelled word or poor grammar. Expose it! 21) Everything is coming up roses! 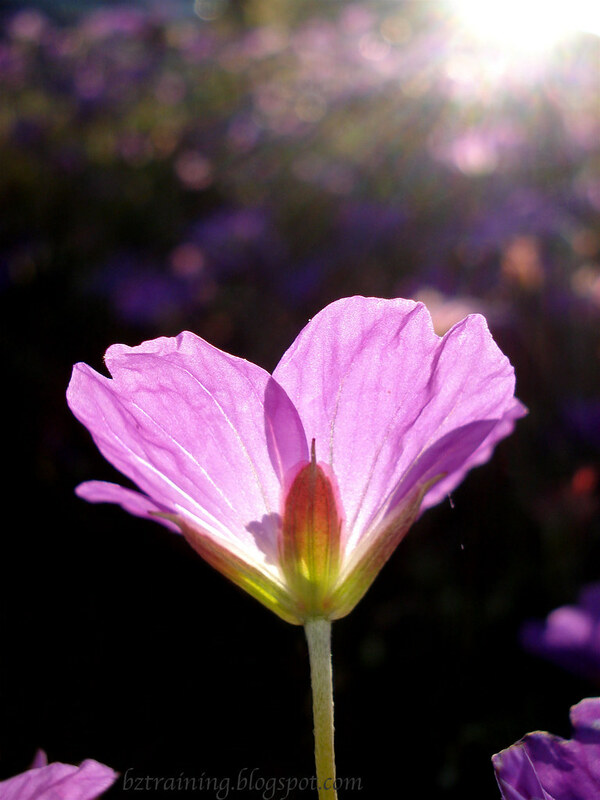 Photograph a flower at close range. 22) Buildings and roads are being built everywhere. Show work being done. 23) What do you do in your spare time? Display an activity or hobby you enjoy. 24) Last month, we shot low key. This month, shoot HIGH! If you're unclear what this means, please refer to The Education Center. Great pictures. 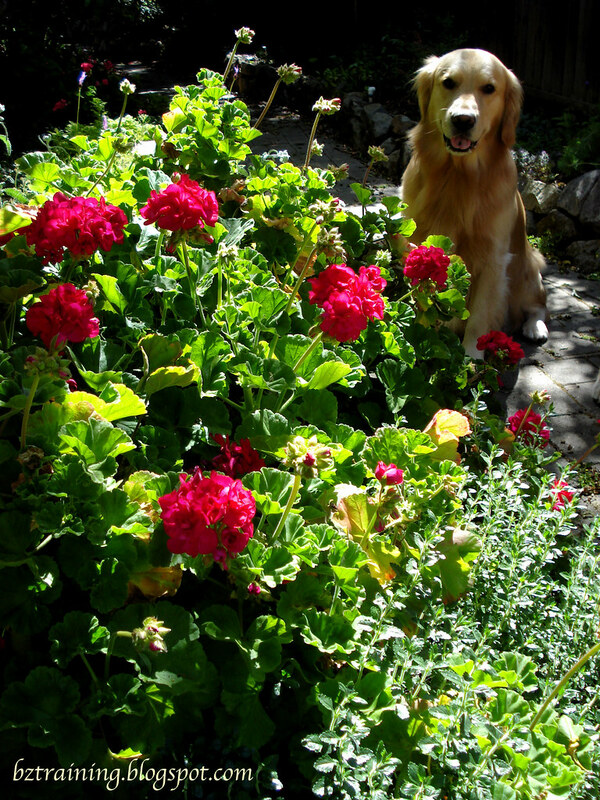 I do love the garden dog pictures. Starbucks. Be still my beating heart.